NOTE: 2019 Registration for the June 14th – 16th tournament will open May 1st. 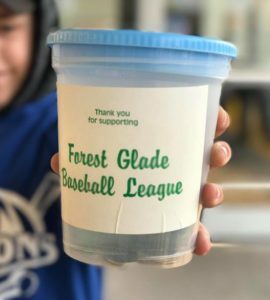 On behalf of Forest Glade I would like to extend my sincerest thanks to all of the coaches, players, umpires, volunteers and parents who came out to the park this weekend to support all the teams in all 5 divisions ( T-Ball, Rookie, Mosquito, Pee Wee, Bantam) that participated in the 2018 Forest Glade Select Tournament. This tournament would not have been possible without all of your dedication to your players, and your players love for the game. We all had the opportunity to watch some amazing baseball the entire weekend, and I wish I could have sent everyone home a winner. The finals results of the tournament are below. We truly hope that everyone had a wonderful time this weekend, and has now had a chance to cool down in some air conditioning or a pool; I’m looking forward to another great tournament next year! 2019 season will open May 1st.